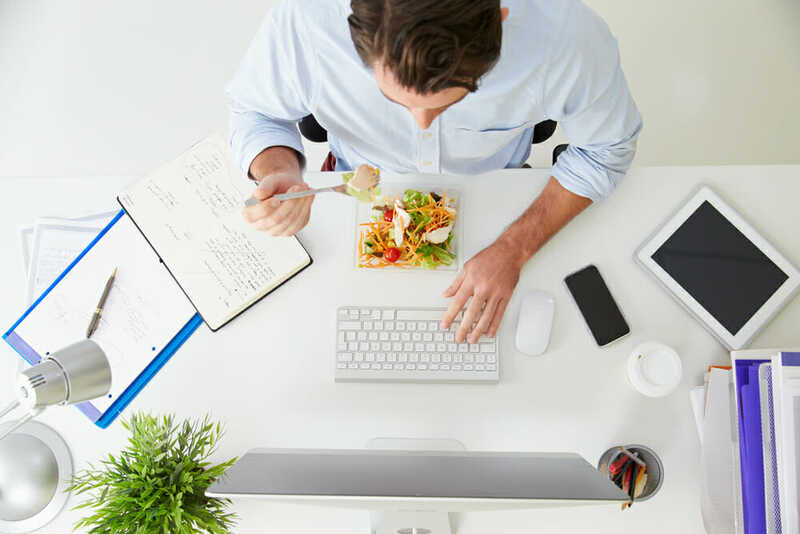 You’re no stranger to work days that go far past eight hours, which means you’ll constantly be flying past mealtimes, grabbing things on the go, and prioritizing speed and convenience over everything. Your team at work appreciates your commitment. Your waistline—not so much. Even when you aren’t hitting the usual fast food spots, ordering out is still full of diet trapdoors. You could go for the healthiest entree on the menu, but you’ll consume higher amounts of salt and butter than you would even imagine using at home. Your take-away will give you a quick spike of endorphins, but you could end up consuming your daily intake of salt in one single meal. You’ll feel worse after consuming these foods, and your quality of life and your job performance will also suffer. Chronic stress on the job has been linked to a higher Body Mass Index, and research has shown that stress can actually lower your metabolism. It’s a depressing cycle with lifelong health effects. Just as you’ve leaned on a rolodex of takeout places, know that you can lean on our team of experts at Elitra Health Center to help you make better dietary choices throughout the week. Below, we rounded up some of our favorite recipes, as well as actionable tips suited for even the busiest executive. While it may seem like a no brainer, there’s actually quite a bit of science behind why you reach for high-calorie foods when you are stressed out. Chronic stress causes your body to produce more cortisol, a hormone that will increase your appetite and make you desire richer, fattier foods. It can also cause muscle tissue loss, which decreases the number of calories you are burning throughout the day. It’s a lose-lose situation. Elitra Center’s registered nutritionist can conduct a review of your stress/behavioral health to help you map out the stress triggers that routinely send you to the pantry at work. You’ll be able to opt for veggie bakes over cheesesteaks when you have a greater understanding of your emotions and reactions. We’ll guide you through five-minute meditation practices and exercise routines with our exercise physiologist to help you reduce stress and manage it when tension pops up. We’ll teach you how to do these routines at your desk in-between meetings (instead of popping by the vending machine). Sometimes you just truly can’t make it home in time to cook dinner. Don’t beat yourself up about it. Just be smart about what you order out and get help from our expert nutritionist at Elitra Health Center. Our registered nutritionist will take you through a body composition analysis to determine what you need from your fuel and what health goals make sense for your body. Then, they’ll guide you through our Elitra health and wellness program to teach you what’s actually good for you. Because we often grab foods—like chocolate-y protein bars and granolas—that we think are health-ish decisions but pack as much sugar as candy. Or, we’re eating something that’s low in carbs but high in bad fats. Research shows that 75 percent of people would describe their diet as good or excellent—even when all evidence shows otherwise. Most Americans struggle to identify what is really in their food, how calorie-dense it really is, and just how much they eat in a day. After educating yourself through our wellness program, you’ll feel the results and will be able to make your to-go decisions without staring at the nutrition label in confusion. We’ll also take a look at your levels to map out supplement recommendations to make sure you aren’t cutting out on your daily vitamins. Meal planning isn’t just for bodybuilders. 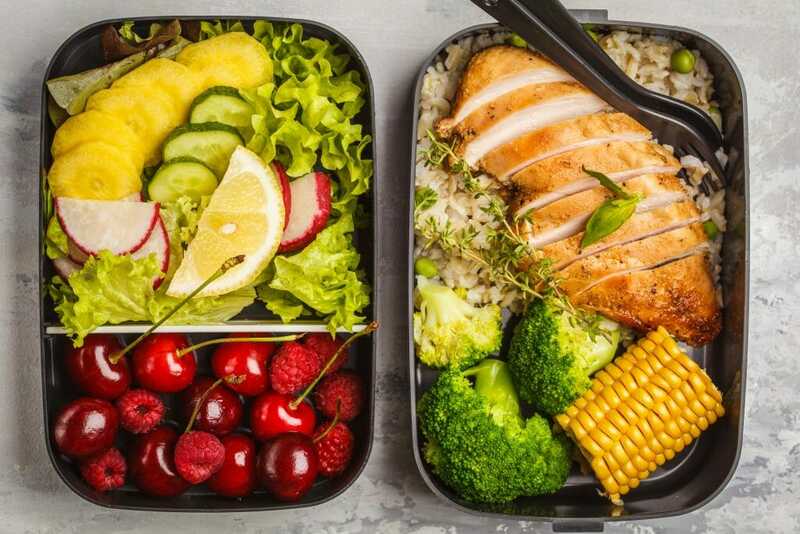 Let our expert team at Elitra Health Center show you how to make meal prep work into your schedule. We’ll develop a personalized nutrition plan with meal and snack solutions to map out meals for even your most unpredictable days. We actually sit down and listen to your schedule concerns and figure out recipes that work with your life while working on your blood pressure, cholesterol, and weight goals. We can work together to on a weekly meal plan and map out a food diary for you to track your progress. Once you start setting yourself and your meals up for success, we have a feeling you won’t ever want to go back to constant take-out. For the days that you can squeeze out 15 minutes to cook, we’ve rounded up three of our favorite quick and healthy recipes below. Sheet pan dishes are the heroes of a busy week. This sheet pan honey-soy salmon dinner is full of heart-healthy omega-3 fats and vitamins A, C and K. It also packs 33 grams of protein with less than 400 calories. This dish only requires 15 minutes of active cooking time, and don’t feel any shame in buying pre-chopped vegetables to make this meal fly by even quicker. You have bigger fish to fry—or in this instance, bake. You can use any leftovers for the next night’s dinner. Or, you can be the bold person microwaving fish in the office at lunch. Your move. A chickpea curry makes for a warm, comforting meal to soothe your soul after a long day. Ready in 15 minutes and only 278 calories, you can serve this vegan dish with brown rice or microwavable naan from Trader Joe’s (trust us, it’s delicious) for a hearty (and heart-healthy) meal. This veggie lo mein recipe will satisfy your craving for Chinese food without the guilt and calorie overload. Using a mix of frozen vegetables and fresh baby spinach and ginger, you’ll have four servings of way-better-than-takeout noodles in just 15 minutes. At 460 calories a serving, you’ll get a delicious dinner packing the carbs to fuel you through an early morning workout the next day.